Essentially a "rust free" California car but needed much more. Ground up restoration nearing completion. 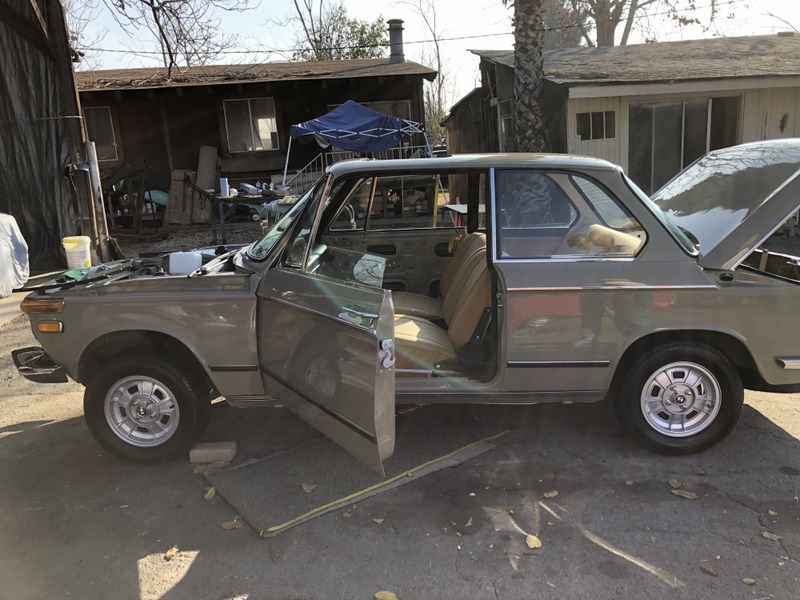 Intention was to maintain a "period" stock lock on the outside (classic color, stainless bumpers w/ over-riders, optional alloys with185/70 13 Pirelli Cintauratos, all trim) with modern interior ('74-76 color in leather, A/C, sound deadening, Bluetooth) and upgraded M-10 ( 38/38 Weber, Pertronix, JE forged pistons, mild cam) Not an investment, not a garage queen, not at all original, but a road-tripping summer driver.